Home Pregnancy When Does the Placenta Take Over? When Does the Placenta Take Over? The placenta is a unique, amazing organ. It develops during pregnancy to help nurture the child. While the miracle of birth gets a lot of focus, many people forget about how amazing the placenta is. For the pregnancy to be completed healthily, there has to be the right balance of hormones and nutrients. Initially, the ovaries handle this job. Before long, the placenta takes over in handling the production of all the hormones that the pregnancy needs to take place. The placenta’s main job is to keep the baby completely healthy while it is still in the womb. When labor is complete, the placenta comes out after the baby. 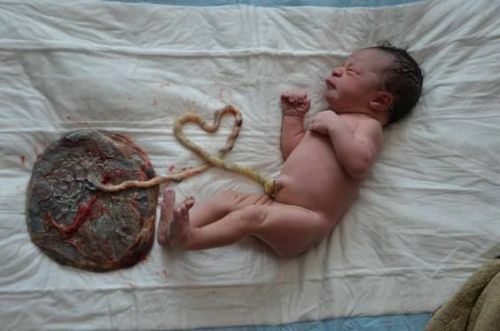 The doctor removes the placenta because it is no longer needed now that the baby is born. In some cultures, the placenta is even consumed to provide the mother with extra nutrients to help her after labor. This is generally not done in western countries, but more and more people are considering this option. Once you conceive a baby, the placenta immediately starts to grow. While it will not be entirely functional right away, it will grow and become fully functional by about the twelfth week of pregnancy. When the placenta is able to function completely, it will take over the entire production of hormones for the pregnancy. It directs the nutrients that have to help the baby develop and it also takes care of any waste products that have to be disposed of from the baby. During early pregnancy, the mother’s body creates progesterone for the baby’s health. When the placenta is able to operate fully, it begins to create the progesterone. The switch to the placenta is one of the reasons that pregnancy symptoms like morning sickness start to subside around the twelfth week of pregnancy. What Is the Placenta Used for? If you are not pregnant, you will not have a placenta. This organ is only created by the body to help a pregnancy take place. In the third week of your pregnancy, the follicle in the ovary that released the egg collapses. This collapsed follicle is known as the corpus luteum, and it is responsible for the initial release of progesterone. This new source of progesterone helps the embryo to get the right nourishment as it develops. For the first trimester, your body will be responsible for most of the progesterone developed before the placenta is ready to take on the job. In the fourth week of your pregnancy, a group of cells travel to the uterus where they become attached to the uterus wall. This small group of cells rapidly divides as they attach themselves more and grow. While some cells turn into the baby’s toes, organs and fingers, other cells split away to make an organ of mostly blood vessels. This new organ is responsible for making sure the fetus is viable as it takes over in the second trimester of the pregnancy. For the next eight weeks, the pregnancy will continue to grow. Capillaries in the placenta gradually grow into larger blood vessels. These vessels will ultimately be responsible for bringing nutrients and oxygen to the baby as well as waste away from the baby. 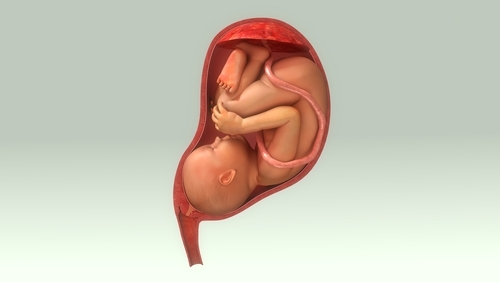 In the twelfth week of pregnancy, the placenta has developed enough to take on all of its responsibilities. The placenta will continue to grow with the baby until the baby is delivered. If you have twins, you may have one or two placentas. It all depends on how the twins were made. If you have fraternal twins, then you will have a placenta for each of your babies. If you have paternal twins, you may have one or two placentas depending on when the embryo divided. If the embryo divided after the placenta formed, there will be just one placenta. If the embryo divided before the formation of the placenta, there will be two placentas. The placenta is an amazing organ that protects the baby from infections and toxins. It serves as a filter to keep bad things out while allowing nourishment to go through the placenta. This nourishment is needed for the baby to form. While the placenta typically becomes fully developed in week 12 of the pregnancy, the exact time can vary from woman to woman. What Are Some Possible Placenta-Related Complications During Pregnancy? For the baby to grow, it needs the placenta. The placenta must function properly for your pregnancy to continue. Otherwise, you may have a miscarriage or other problems during your pregnancy. Obviously, one of the first steps should be give up illegal drugs, smoking and drinking alcohol. These steps will help to keep your placenta healthy, although there are still complications that can happen. In addition, some of the symptoms that you experience during your pregnancy could indicate that you may have potential problems with your placenta. If you experience severe back pain or vaginal bleeding before you reach full-term, you may have a problem. Likewise, fast uterine contractions before you reach full-term are another sign that you should go to your doctor right away. Normally, your doctor will make sure to monitor the health of your placenta whenever they use an ultrasound to check your baby. They will look at the position and size of the placenta. If it is in the wrong position or larger than normal, your doctor will want to monitor the placenta closely to make sure that it will not become a problem. Unless absolutely necessary, the doctor will just monitor the placenta to make sure that these changes do not become a problem. Currently, researchers are looking into the way placenta testing could indicate genetic diseases, preeclampsia or autism. As this research is carried out, placenta testing may become more common.